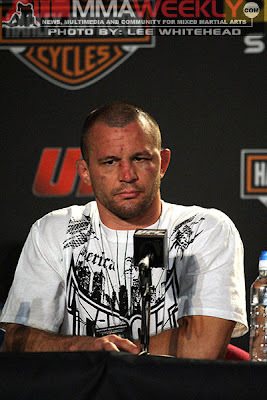 The Official MMA Agents Blog: Can Chris Lytle Secure His Spot? Can Chris Lytle Secure His Spot? The boom in popularity for MMA resulted in the UFC’s roster growing at an exponential rate. With numbers swelled to maximum capacity, shows began to book at such a rate that fighters have now found themselves with an abundance of shows, but a lack of spots available due to the promotion’s roster being so full. So the inevitable cuts have begun. Fighters not performing up to expectations have found themselves out of the promotion, making each fight now a potential last gasp for young talent and veterans alike. One of the longtime UFC fighters who is looking to continue his time with the company is welterweight Chris “Lights Out” Lytle. After five years of near consistency with the promotion, Lytle has alternated wins and losses of late, and at the age of 34 could be facing his last run with the company. In typical Lytle fashion, however, if this is the last run, he intends to go out swinging. “I feel like I’ve been a split-decision away – a bad break away – from being really in a better position than I’m at,” Lytle told MMAWeekly heading into this Saturday’s TUF 9 Finale.